These are some books that arrived unsolicited this week. Classic illustrations convey the magic of St. Nick’s visit, from the shadows cast by his sleigh to the twinkling eyes and rosy cheeks of his friendly face. This stunning edition of the favorite fable about a little girl in red on her journey through the woods makes brilliant use of laser die-cut paper and silhouette-like illustrations to enliven every page. Sybille Schenker’s evocative and exquisite illustrations bring a unique beauty and graphic excellence to this beloved favorite. Little Raven was last to hatch in the nest and the last to learn to fly, but he was the first to be teased and ridiculed. 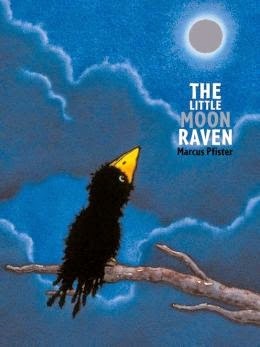 His only wish was to fly and play with the others, so one day he took a dare and, to show his courage, Little Raven decides to fly to the moon. Beautifully produced and with artwork from an acclaimed illustrator, this picture book gently handles the issue of wanting to find acceptance. 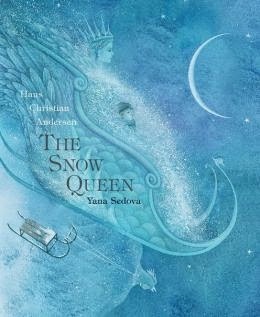 One of the best loved of Hans Christian Andersen’s fairy tales, this retelling of The Snow Queen is both delightful and accessible. These timeless, classic stories have been gloriously illustrated and made accessible for younger children to read alone, or for all the family to enjoy together. This fresh approach brings the stories and their characters to life. There are also special pages giving background detail to set the scene of each story. When the Snow Queen abducts her friend Kai, Gerda sets out on a perilous and magical journey to find him. 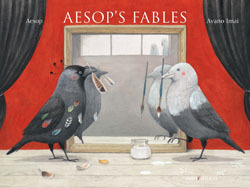 Illustrated by Ayano Imai, this new interpretation of Aesop’s Fables is a beautiful addition to your library. Imai’s delightful illustrations bring these classic fables to life again for the modern reader. Though I feel the moral stories behind them will be lost on today’s youth, I don’t believe we should stop exploring the classics with them and opening the door to meaningful discussions. 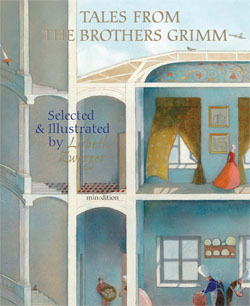 Selected and illustrated by Lizabeth Zwerger, this collection of Grimm Fairy Tales explores old favorites like “Hansel and Gretel” and “Briar Rose” along with some lesser known ones. Zwerger’s artwork is stunning and captures the classic feel to these original tales. While definitely a well put together collection, the content of some of these stories can be a bit frightening for young readers. I received unsolicited copies of these books from a publicist. This review contains my honest opinions, which I have not been compensated for in any way. I received a box of books for Michael Neugebauer Publishing from their publicist. I’ve only had a chance to read a couple of them, but as soon as I did, I had to share them with you. 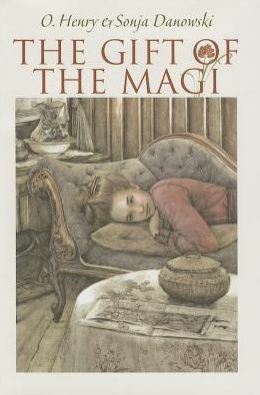 This edition takes the classic story by O. Henry and sets it to beautiful artwork by Sonja Danowski. The oversized hardcover makes a perfect coffee table book. I usually display my seasonal titles throughout the house at Christmas time, so this one will prominently be displayed in the reading room. If you’re unfamiliar with the story, it goes something like this. Della and Jim are a young married couple who desire to give each other a special Christmas gift. After a year of scrimping and saving, Della discovers she has very little money to purchase a gift for Jim. But she soon comes up with an idea for how she can get enough money to buy him just what he needs, which leads to some surprises on Christmas Eve. Keeping in mind that O. Henry lived from 1862-1910, the text is much more eloquent than one would expect of a picture book today. The author was also known for his wit and his wordplay, so some of the prose might not hit its mark with a younger audience. 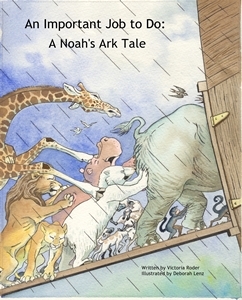 This would make a great read aloud for families. The Message of the Birds starts off with the old owl telling the story of the birth of a special child long ago in a stable, where all the animals hear the baby’s coos as a song of blessing and good will. The birds then ask why they don’t sing it anymore. After many possible reasons are given, the robin suggests sharing the message with the children. So the birds fly far and wide, telling every bird to share the message with every child, which the children then share with the world. 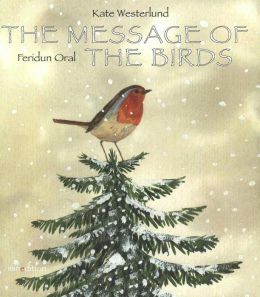 This is a touching story made lovelier by the stunning artwork of Feridun Oral. 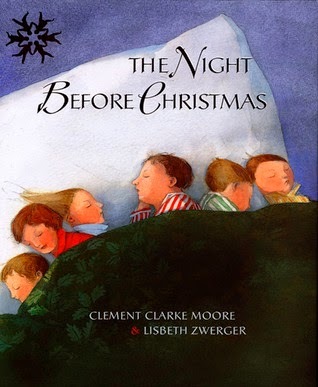 If you want to add meaning to your Christmas, this is great book to share with your family. I received free copies of these books. These reviews contain my honest opinions, which I have not been compensated for in any way. I’ve been invited to join this Children’s Author Blog Hop by fellow author Sherry Rossman. She answered a set of questions at her blog, Moose Musings from the Moose Room. She has tagged me to participate, and in turn I’ll tag fellow children’s authors who will be posting their answers at their blogs in the coming days. I’m working on editing and completing a middle grade historical novel that has been in the works for the past few years. I’ve gone back to the classics, using Lucy Maud Montgomery’s Anne Shirley as inspiration. I’ve always loved the character of Anne. Her feisty and impulsive nature is something I can relate to. She unintentionally gets herself into trouble. And she is filled with imagination. Anne also dealt with a fair amount of adversity before and after coming to Green Gables. My character, Amelia, has lost both of her parents to an influenza epidemic. She is sent to live with her father’s sister, a spinster living on the family’s estate in Massachusetts. The family was a founding member of the community and Amelia’s aunt, Martha, expects her to act accordingly. Amelia is impulsive. She doesn’t enjoy the expectations that she must act a certain way or befriend only certain people because of her social status. This project, titled Amelia’s Mission, also combines the challenges of the Reconstruction period in America. Amelia’s best friend is the African-American stable boy on the family estate. Aunt Martha doesn’t approve and interferes to the point where she sends Amelia off to a boarding school to keep them apart. I love historical fiction. I read a great deal of it. I’m also interested in the Civil War. My collection of nonfiction titles on the conflict is the only one that rivals my Laura Ingalls Wilder collection. I also enjoy fiction set during this time period. I wanted to find a way to have a feisty, impulsive girl like Anne or Laura in a book, but also place her in an era where she was expected to act a certain way based upon her gender and social status. In addition, I’m a hopeless romantic. 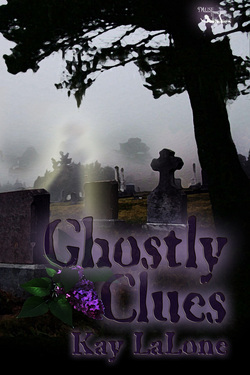 There is a secret in Aunt Martha’s past Amelia works to uncover that involves a former beau. Simply not having enough time to write. I work from home and I have two young girls. This doesn’t allow me a lot of freedom for writing. I feel blessed that I’ve been able to create six new picture books this year. I’ll work on editing those and submitting them to publishers, but I also really want to complete Amelia’s Mission. What is something unique you want readers to learn about you? I feel it’s very important to give back to our communities and to support fellow authors. That’s why I’m involved in our church and run so many blogs. It’s also important for me to set an example for my children. Personal success comes not only from your own achievements, but also through how much you lend a helping hand to those in need. Antje Hergt at her GoodReads blog: http://www.goodreads.com/author/show/7143587.Antje_Hergt/blog. 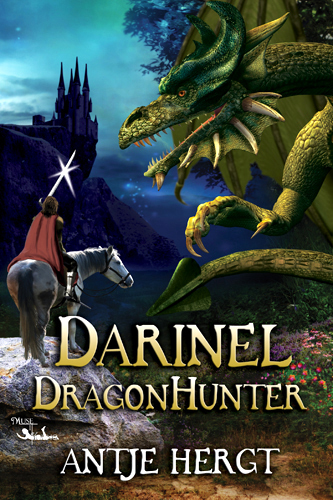 She is the author of Darinel Dragon Hunter released in June by MuseItUp Publishing. Donna J. Shepherd and Topsy Turvy Land. 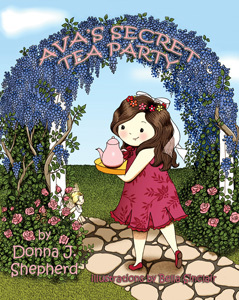 Donna is the author of the Topsy Turvy series, Where is Salami?, Bradybug, Ava’s Secret Tea Party, and more from Guardian Angel Pubishing. Find her site at http://www.topsyturvyland.com/. 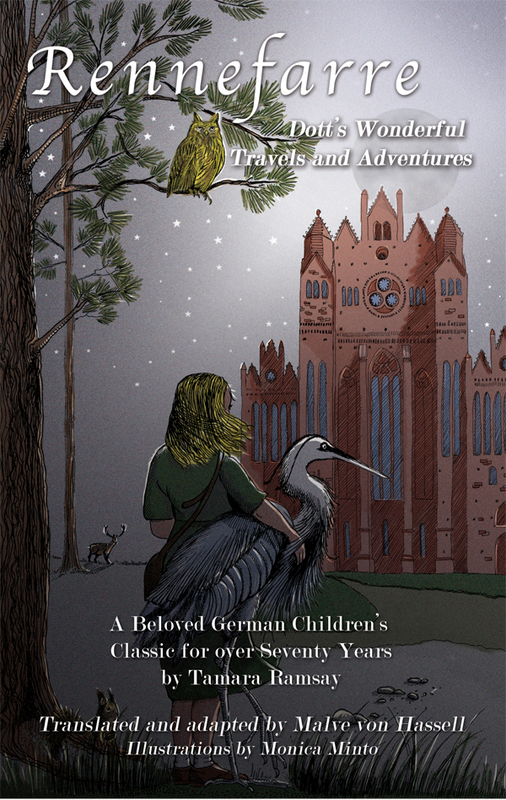 A fairy tale adventure awaits the discerning reader in Rennefarre: Dott’s Wonderful Travels and Adventures translated and adapted by Malve van Hassell. A beloved German children’s classic by Tamara Ramsey, this story was originally written on the eve of World War II. The first edition appeared in 1941. More than 25 editions appeared between 1941 and 2008. With the copyright holder’s permission, von Hassell’s adaptation is based upon the 1965 edition. Twelve-year-old Dott finds her world turned upside down when she sneaks out to see the bonfire at the edge of her village on the evening of the midsummer night festival and the magical Rennefarre flower falls into her shoe. Now invisible to humans, she can no longer stay with her parents and younger siblings. Eager to find a way out of her predicament, she escapes to the forest. Her quest to return home finds her traveling through the cities and countrysides of 20th century Germany and beyond. Assisted on her journey by the animals she can now talk to and magical gifts along the way, Dott hopes in her heart of hearts that one day she will find a way to release herself from the enchantment of the Renefarre flower and return home. This is a magical story accompanied by the stunning artwork of Monica Minto. A coming-of-age story that blends fantasy and social commentary, the reader finds herself carried away along with Dott on her fantastic journey to reunite with her family. While young readers will connect with Dott’s desire to return home, and will certainly enjoy the magical and fantasy-filled environment in which this story takes place, I fear its sheer length (298 pages) will deter some readers. The original story might have been geared toward children, but the social commentary of 20th century Germany would be much more appropriate for tween and young adult readers in today’s modern world. If you read children’s classics from long ago, you’ll discover they handled sensitive topics in a much harsher way than we would now. So, I feel this puts Rennefarre at a disadvantage. How I feel this book would be best read is aloud by a family, which would allow parents to engage their children in conversations over the cultural and ethnic strains as well as the human destruction aspects of the book. It is important to point out, too, that though there are some difficult topics in Rennefarre, Dott’s travels inspire her to consider how she can change her world. Malve von Hassell is a freelance writer, researcher, and translator. She holds a Ph. D. in anthropology from the New School for Social Research. Working as an independent scholar, she published several books and journal articles, in particular, The Struggle for Eden: Community Gardens in New York City (Bergin & Garvey 2002) and Homesteading in New York City 1978-1993: The Divided Heart of Loisaida (Bergin & Garvey 1996). 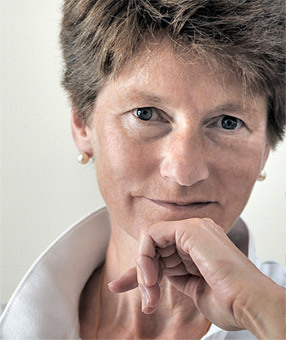 She has also edited her grandfather Ulrich von Hassell’s memoirs written in prison in 1944, Der Kreis schließt sich – Aufzeichnungen aus der Haft 1944 (Propylaen Verlag 1994). She has taught at Queens College, Baruch College, Pace University, and Suffolk County Community College, while continuing her work as a translator and writer. She has published a children’s picture book, Letters from the Tooth Fairy (Mill City Press, 2012), and completed a manuscript for a historical fiction book set in the 13th century for young adults, Falconello. She is working on a historical fiction novel set in Jerusalem in the time of the crusades. It’s time to sing along to twelve children’s favorites. 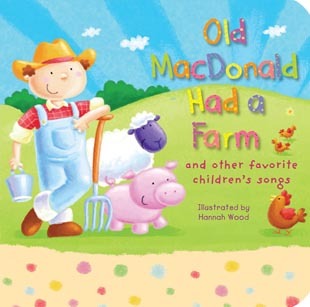 From “Old MacDonald Had a Farm” to “Skip to my Lou,” and from “I’m A Little Teapot” to “Pop! Goes the Weasel” and more, these children’s classics are sure to get you and your toddler in happy mood. Accompanied by the fun and beautiful artwork of Hannah Wood, your child will be thrilled to call this book his own. Wood has created a wonderful niche for herself. Just like in This Little Piggy and Other Favorite Action Rhymes and Hey Diddle, Diddle and Other Favorite Nursery Rhymes, she is reimagining classics for a contemporary audience. I can’t wait to see what she comes up with next! I received a free copy of this book from the publisher. This review contains my honest opinions, for which I have not been compensated in any way.